London Transport No. L89 (ex-GWR 57xx Class 0-6-0PT No. 5775, now preserved on the Keighley & Worth Valley Railway) shunts on the tip near Croxley with the Monday to Friday spoil train from Neasden depot. This ran during the period that the old power station at Neasden was being demolished and for some time after. 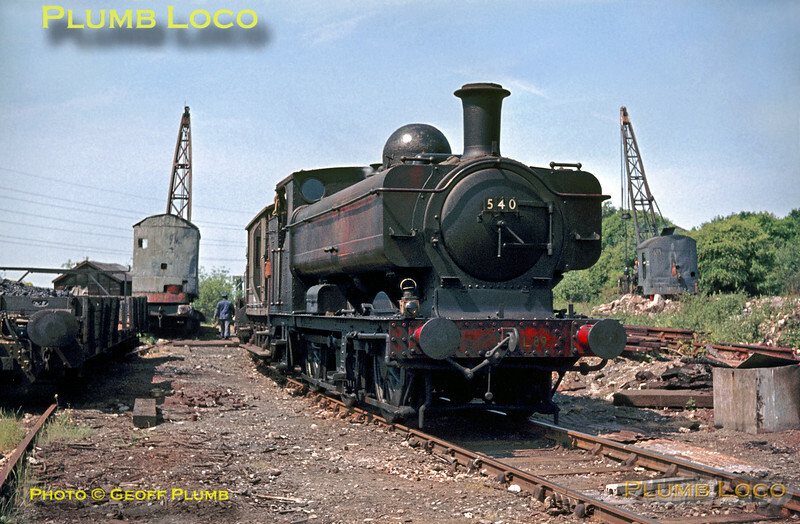 In order to get onto the tip, the train ran to Watford Metropolitan station where the loco ran round and took water, before heading back towards Croxley and the tip. Having collected the empty wagons, the engine propelled the train out onto the main line and reversed to get back to Neasden. Note the steam cranes for unloading the wagons. June 1969. Slide No. 3814.